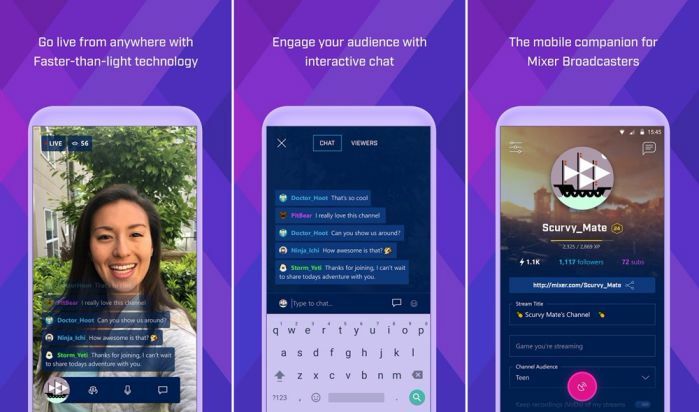 Microsoft Mixer Create beta app(1706.0524.2319) for Android is now available for download. Today, Microsoft renamed its live-game video streaming service Beam as Mixer. The service now features a fresh redesign and other changes. Now you can co-streaming with up to four users to broadcast as a team in a single stream. This is especially cool when you’re playing multiplayer FPS games. But all of this is mainly on the PC and Xbox. The new app brings video streaming and also allows you to connect with viewers at the same time. You will also be able to interact with your audience using various other options. The streaming app also lets you manage your identity and channel. Stream video and connect with viewers on the go. Engage your audience with interactive options. Manage your channel and identity. You can download Microsoft Mixer Create app for Android from the Play Store or from the link below.